Despite a volatile time in public markets, private capital activity for real estate has been strong and is now already in line with the Q2’15 results. Total offering amount stands at approximately $8.4 billion as of September 4, 2015 across 493 real estate private placement offerings. 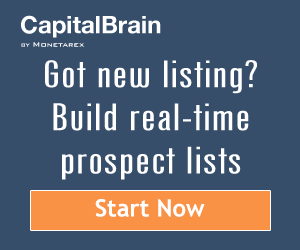 The largest deals this quarter so far were a $300 million fund Suntex Marina Investors LLC filed by Suntex Ventures, an investment firm from Texas and a Chicago-based private equity group Pearlmark Real Estate Partners that launched a $500 million fund. According to firm’s press release, Pearlmark Mezzanine Realty Partners IV, L.P. will serve as the firm’s exclusive mezzanine investment vehicle, fulfilling borrower demand for mezzanine debt solutions. 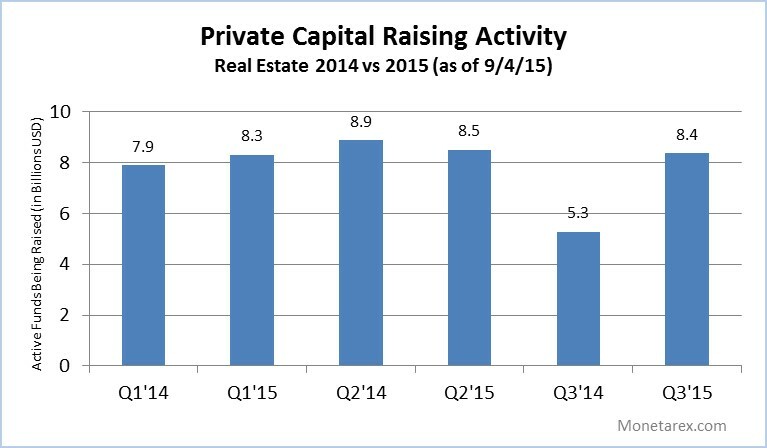 The Q3’15 activity is noticeably higher compared to the same quarter last year (58% increase). One possible explanation – last year $1.7 billion worth of offerings was filed in the last weeks of September. An investment firm Redwood-Kairos Real Estate Partners launched funds that accounted for majority of the activity. Whether Q3 of this year becomes a record quarter of the past two years still remains to be seen (stay tuned for the quarterly analysis). Although, active offerings number is relatively steady the commitments rate has been decreasing since the beginning of the year. The average historical capital commitment rate is above 50%. Last quarter lower amount of offerings still had a higher rate of 38% vs 32% quarter to date. 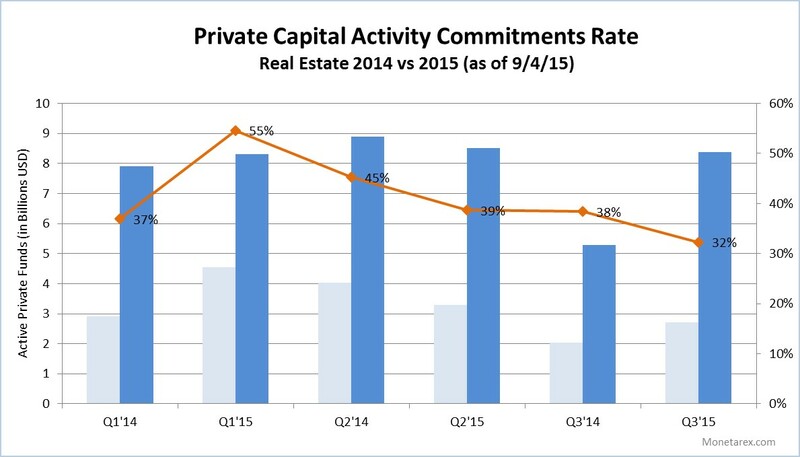 Lower (and decreasing) commitments rate might be indicative of the slowdown in the real estate investment market.